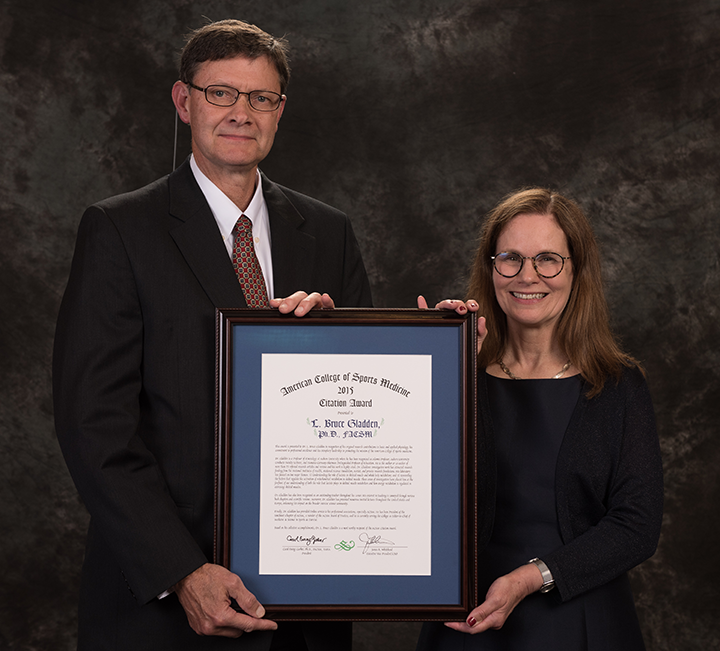 Dr. Bruce Gladden, a professor in the College of Education’s School of Kinesiology, and a Fellow in the American College of Sports Medicine, was recently named as the recipient of the 2015 Citation Award. The award is given by the American College of Sports Gladden was so named because of his significant contributions to sports medicine and the exercise sciences. He was recognized at an awards banquet during the association’s annual meeting. Gladden’s work is focused on the role of lactate in skeletal muscle and whole-body metabolism. He is the author or co-author of more than 75 refereed research articles and reviews, and his investigative work has attracted research funding from the National Institutes of Health, National Science Foundation, NATO, and private research foundations. He has been recognized as an outstanding teacher throughout his career at Auburn, and has been recognized as Alumni Professor, Auburn University graduate faculty lecturer, and Humana-Germany-Sherman Distinguished Professor in the College of Education. He has presented numerous invited lectures throughout the United States and Europe, enhancing his impact on the broader exercise science community. He is currently the editor-in-chief of the prestigious journal Medicine & Science in Sports & Exercise.